Get more leads and sales from Google, Bing and Yahoo with expert SEO. Currently, 85% of internet users turn to search engines like Google, Bing or Yahoo to find the products or services they need. Search engine optimisation (SEO) can get you to the top of the search engine results, increasing your visitor numbers and sales conversion rate. On average, our clients’ traffic increases by 73% within six months of website optimisation. Dream Consultancy are an expert SEO company with offices in Melbourne . We offer affordable online marketing solutions that will dramatically improve your search engine rankings. With a wealth of experience and in-depth research, we will find the right keywords to deliver potential customers to your website. Whether you’re a small start-up looking to grow your business or a large company seeking to improve your existing online profile, our website optimisation services can help you achieve your business goals and improve sales. Using the best techniques, we offer sustainable results that will keep your business at the top of the search results. Constant research into the ever-changing requirements of the search engine algorithms ensures our clients retain their rankings, even in the face of larger updates that affect other websites. 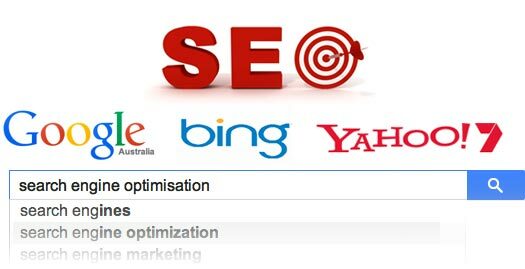 To take advantage of these exceptional services, please contact our SEO company at our Melbourne locations and an website optimisation expert will demonstrate how we can assist your business.